Brennan, Virginia. 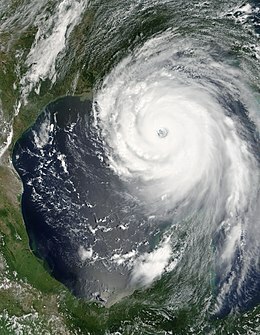 Natural Disasters and Public Health: Hurricanes Katrina, Rita, and Wilma. Baltimore: Johns Hopkins University Press. 2009. ISBN 978-0-8018-9199-1. Center for Public Integrity (编). City Adrift: New Orleans Before and After Katrina. Baton Rouge: LSU Press. 2007. ISBN 978-0-8071-3284-5. Dyson, Michael Eric. 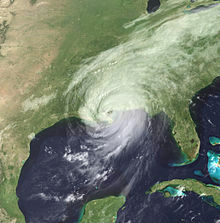 Come Hell or High Water: Hurricane Katrina and the Color of Disaster. New York: Perseus Books Group. 2006. ISBN 0-465-01761-4. .
Eggers, Dave. Zeitoun. San Francisco: McSweeney's Books. 2009. ISBN 978-1-934781-63-0. Hartman, Chester; Squires, Gregory D. (编). There Is No Such Thing as a Natural Disaster: Race, Class, and Hurricane Katrina. Routledge. 2006. ISBN 0-415-95487-8. .
Saint-Saens, Alain. Ordeal at the Superdome. Escaping Katrina's Wrath. New Orleans: University Press of the South. 2010. ISBN 1-889431-87-7. .
Scott, Cathy. Pawprints of Katrina: Pets Saved and Lessons Learned. Hoboken: Howell Book House. 2008. ISBN 978-0-470-22851-7. Spielman, David G. Katrinaville Chronicles: Images and Observations from a New Orleans Photographer. Baton Rouge: LSU Press. 2007. ISBN 978-0-8071-3252-4. ^ 1.0 1.1 National Hurricane Center; Hurricane Research Division. Atlantic hurricane best track (HURDAT version 2). United States National Oceanic and Atmospheric Administration. 2014-03-24 [2014-03-28]. （原始内容存档于2014-03-28）. ^ National Hurricane Center; Hurricane Research Division; Atlantic Oceanographic and Meteorological Laboratory. Chronological List of All Continental United States Hurricanes: 1851-2011. United States National Oceanic and Atmospheric Administration's Office of Oceanic & Atmospheric Research. 2014-03 [2014-03-26]. ^ Blake, Eric S; Landsea, Christopher W; Gibney, Ethan J; National Climatic Data Center; National Hurricane Center. The deadliest, costliest and most intense United States tropical cyclones from 1851 to 2010 (and other frequently requested hurricane facts) (PDF) (NOAA Technical Memorandum NWS NHC-6). National Oceanic and Atmospheric Administration: 47. August 10, 2011 [August 10, 2011]. ^ Blake, Eric S; Kimberlain, Todd B; Berg, Robert J; Cangialosi, John P; Beven II, John L; National Hurricane Center. Hurricane Sandy: October 22 – 29, 2012 (PDF) (Tropical Cyclone Report). United States National Oceanic and Atmospheric Administration's National Weather Service. February 12, 2013 [February 17, 2013]. （原始内容存档于February 17, 2013）. ^ Hurricane/Post-Tropical Cyclone Sandy, October 22–29, 2012 (PDF) (Service Assessment). United States National Oceanic and Atmospheric Administration's National Weather Service: 10. May 2013 [June 2, 2013]. （原始内容存档于June 2, 2013）.